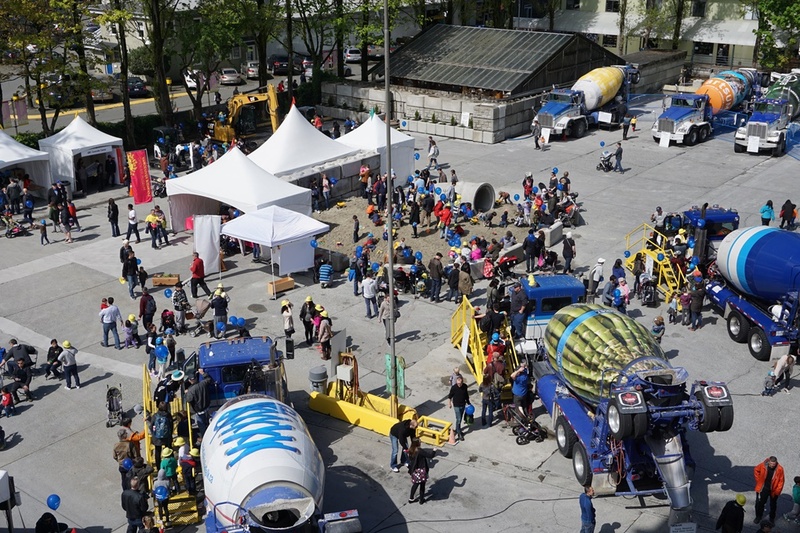 Ocean Concrete will once again open its gates to the public for a day of fun. You can see the giants up close, sit in one of the concrete trucks and even virtually drive one in a simulator, play in the industrial sand box filled with toys, take a tour, see some exotic animals in the garage with the Earth Rangers, watch the Vancouver Fire Fighters band play, get your face painted, and see everything they do there. You can even get the insider info on the exciting changes on the Island in the CMHC tent.